ChronosXP is a planetary hours astrology program for Windows. It runs from the system tray where it displays a glyph corresponding to the current planetary hour. 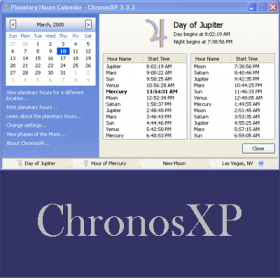 Planetary hours/days can also be viewed for any given time or location.